Home / News / Relationship / Viral / LOOK: Girl's Bite Mark on Boyfriend's Arm Draws Debate on Social Media! Did She Go Too Far? 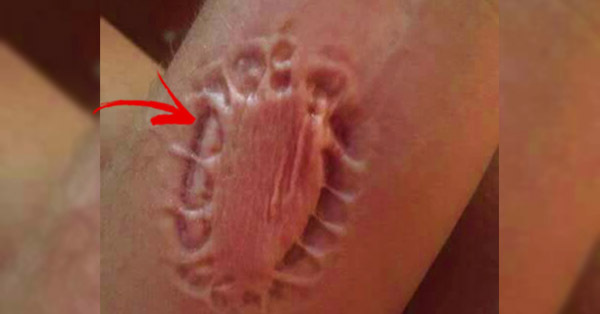 LOOK: Girl's Bite Mark on Boyfriend's Arm Draws Debate on Social Media! Did She Go Too Far? As crazy and ironic as it sounds, some girlfriends can become violent or a bit too harsh when showing affection towards her guy. However, where does a guy draw the line between a girl's usual 'gigil' and 'lambing' and when it has gone too far? On a viral photo on social media, an unidentified girlfriend left a bite mark so deep it was impossible to not notice how extreme her 'gigil' is. Traces of every tooth were evident on the guy's arm, netizens can't help but sympathize with the guy's pain during his girlfriend's possible violent outbursts. "Kung ganito maglambing ang girlfriend mo, anong gagawin mo?" Now how does a guy react to this sort of situation? Is it just to break up with her out of one bitemark? Apparently, some netizens suggested this claiming no girl in her right mind would be that violent. Some netizens pointed out that the girl might be 'psycho' for doing this. On the other hand, one netizen suggested having her teeth removed instead. Although the idea might just work, it sounds crazy, doesn't it? Well, what's your take? How should a guy react to this? Tell us in the comments section what you think!